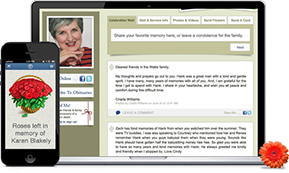 There's no right or wrong when it comes to celebrating your loved one and honoring their life. When you first begin the process of designing a funeral, the decisions you'll face might seem overwhelming. We're here to help you tackle the choices one by one and make the journey one of love, healing, and life celebration. 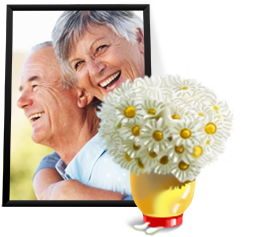 The process can be broken down into two stages: decisions regarding the service, and decisions regarding how you'd like to care for your loved one's physical remains. Our staff is experienced in understanding and accommodating the needs of all beliefs, faiths, lifestyles, and relationships. We're here to answer your questions and guide you through the decisions you'll need to make, and will encourage you to take your time to figure out the most meaningful and fitting way to honor your loved one and incorporate the elements that you and your family find meaningful. Whether it's formal or informal, traditional or offbeat, a funeral provides an opportunity for family and friends to gather and support one another in taking the first steps of their healing journey. A service can take place in any setting - at your home, outdoors, or at our facilities, and can incorporate music, poetry, or art in the celebration of life. There are endless possibilities for what the service can be, and we're honored to go above and beyond in our duty to meet your personalized and specific requests. 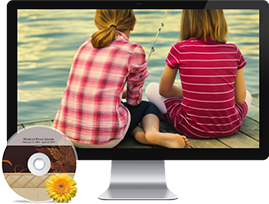 We'll create a one-of-a-kind video tribute to your loved one by combining family photographs with cinematic introductions, the music of your choice, and professional effects to share your loved one's special journey during the service and provide your family and friends with a meaningful keepsake after the ceremony is over. 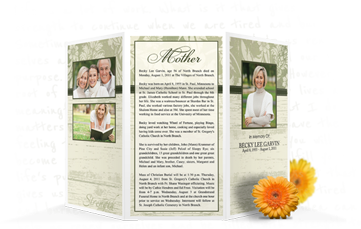 From the register book and memorial folders to prayer cards and thank-you notes, our high-quality stationery sets are available in over 500 themes to honor your loved one. Let us help you explore the options and choose the perfect design to create treasured keepsakes for you and your guests.